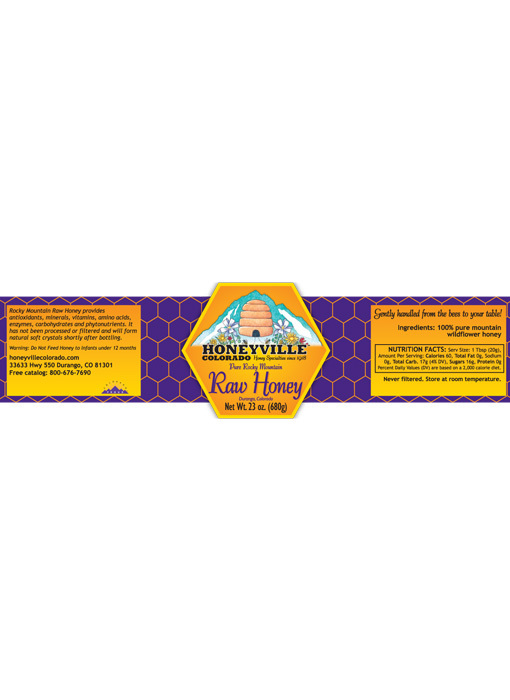 Honeyville Raw Honey is an amber sweet blend of mountain nectar collected by the bees. This honey is straight from the hive, unfiltered and unprocessed, and full of untouched nutrients and enzymes. Raw Honey will crystallize soon after it is poured, which is what real raw honey will do. Simply place in warm water to return to liquid, or eat as is! Love the flavor of this honey. It's a great enhancement to any of my favorite teas. We purchased honey from you guys several years back in person and loved it. Recently it dawned on us to look you up online to purchase more honey. We were so thrilled that you ship honey throughout the US. We ordered two jars of your unfiltered honey and love it just as much as the first time we had it! Thanks for keeping the shipping rates down. Your honey is still by far the best honey we've found in Colorado. It's smooth, silky, and pure sweetness. It is consistently delicious. Fell in love with Honeyville while living in Durango. I now have it shipped to Colorado Springs. It always arrives quickly and I love having the option of getting the "raw" version. This is the BEST honey! Recently using Raw Honey for health purposes as well as enjoyment anytime. Marvelous! 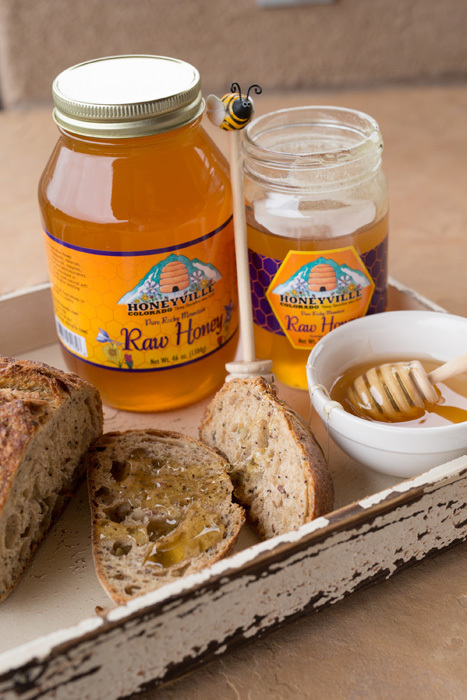 Raised with Honeyville honey since our growing up years in Silverton in the 50's. Our parents purchased the gallon buckets at that time I believe. Wouldn't be without it! Thank you!!! This is the best tasting honey I have come across. Treat these bees and their environment well because both are giving us a very special gift. My husband and I were in your shop again for the 3rd time on our vacation trip. I loved the coffee and the whipped honeys so much that I had to order some more morning buzz and whipped peach. Always enjoyable to visit the store and you have a great selection. And the honey of course is so delicious. Thanks! My family was, is and always will be raised with RAW Colorado Wildflower Honey. Other region's honey fails in comparison. It really is the best! And don't forget the Chokecherry products! Together, it's a match made in heaven! 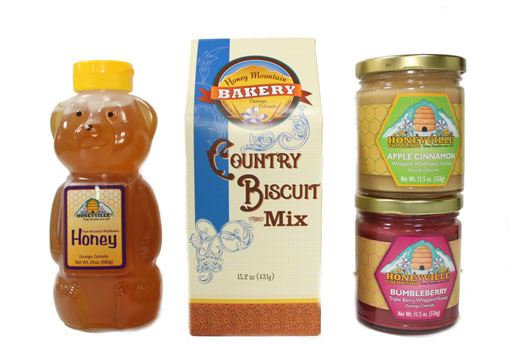 Honeyville Products are the Best! 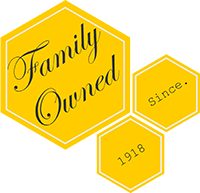 I and my family have been enjoying the superior taste and quality of Honeyville Products for over 40 years. We love to stop by the store everytime we are in Durango. 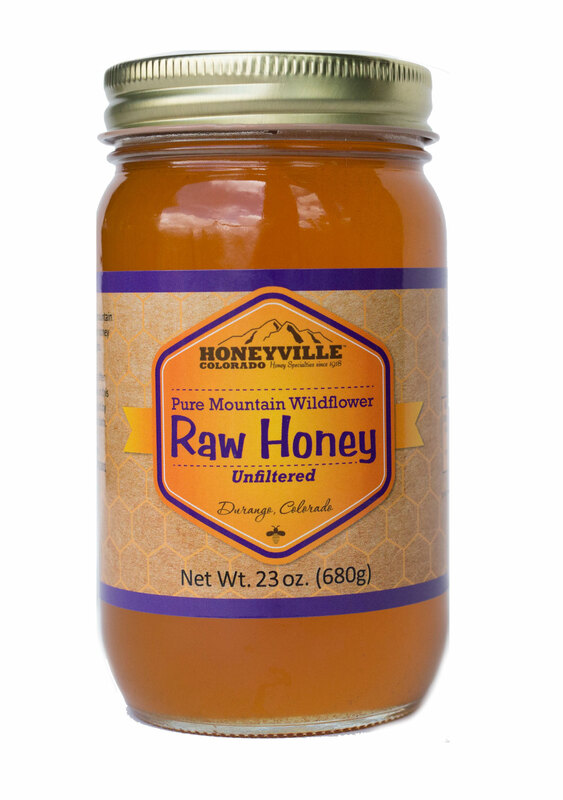 The Raw Honey by Honeyville is the best we have ever tried and their whipped honeys especially the Cinnamon and the new Cranberry/Orange are wonderful..I recommend their products to all my family, business associates, and friends. 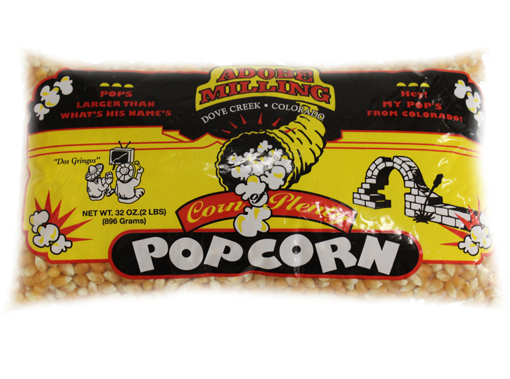 It is the best tasting and probably great for me as it is not heated and contains all the good stuff right out of the comb. I've been looking for years for a good Honey. I have now found a excellent Honey. The flavor is outstanding !!! The shipping was great and we received it in good condition and in a timely manner. Everything went smooth as silk and now we're enjoying it immensely. All their products I have over the last 5 years are exceptional. The raw honey is some of the best I've ever had. I highly recommend them and as always, stop by their store, you can't leave there without buying something. I'd like to buy the whole store when I'm there! My husband and I love honey and we were excited to purchase a local honey. It has greatly helped him with his allergies and I incorporate a little of this honey into everything - from iced tea to baked goods to marinades. It's also delicious right off the spoon!!! I sent my sister and her husband a jar of raw honey for christmas. They have already opened the package and tried your honey. They love it. They said its the best honey they have ever had. I also sent them a honey dipper with a bee on it. Their five year old daughter loves to use the honey dipper to put on cereal and toast. The whole family is happy with the gift I sent them. I have to try your honey soon it sounds good. I will place a order for myself very soon. Thanks Honeyvolle for making great quality products. The honey is delicious and the delivery time was great! I love this honey. I mean, I love it. I usually get the raw wildflower honey and I use it in everything from sweetening my tea to cooking. It's versatile, has a wonderful consistency and texture and just the right amount of sweetness. Even better than the local honey I can get. If I'm not in the area I always try to get more ordered before I run out. The shipping is timely and the items are always packed carefully. Bravo!